If the companies working on the tech have successful clinical trials, engineered viruses could provide humans with a powerful weapon in the fight against superbugs. Earlier this month, the annual CRISPR 2017 conference was held at Montana State University. Attendees were the first to hear about successes companies have had using CRISPR to engineer viruses to kill bacteria. One of the most exciting potential application for these viruses, called bacteriophages, would be killing bacteria that have become resistant to antibiotics. At least two of the companies aim to start clinical trials of these engineered viruses within 18 to 24 months. The use of bacteriophages isn’t new. In the past, they have been isolated in the wild and purified for use. Although bacteriophages are regarded as being safe and effective for use in humans, because they are found in the wild, research on them has been sluggish. New discoveries can’t be patented, and furthermore, these discoveries can also be transient, because bacteria can, and often do, rapidly evolve. However, using CRISPR to engineer them is definitely innovative. It renders viruses uniquely lethal to the most dangerous bacteria in the world, and initial tests saved the lives of mice who were infected with antibiotic-resistant infections that would have ultimately killed them, explained conference speaker Rodolphe Barrangou, chief scientific officer of Locus Biosciences. This ability has lead researchers from at least two companies to use CRISPR in an attempt to turn the tables on antibiotic-resistant bacteria. Both companies cite treating bacterial infections linked to serious diseases as their primary goal. Eventually, they intend to engineer viruses that would allow them to do much more by taking a precision approach to the human microbiome as a whole. The idea would be to selectively remove any bacteria that occur naturally and have been associated with various health conditions. This could be anything from autism to obesity — and possibly even some forms of cancer. 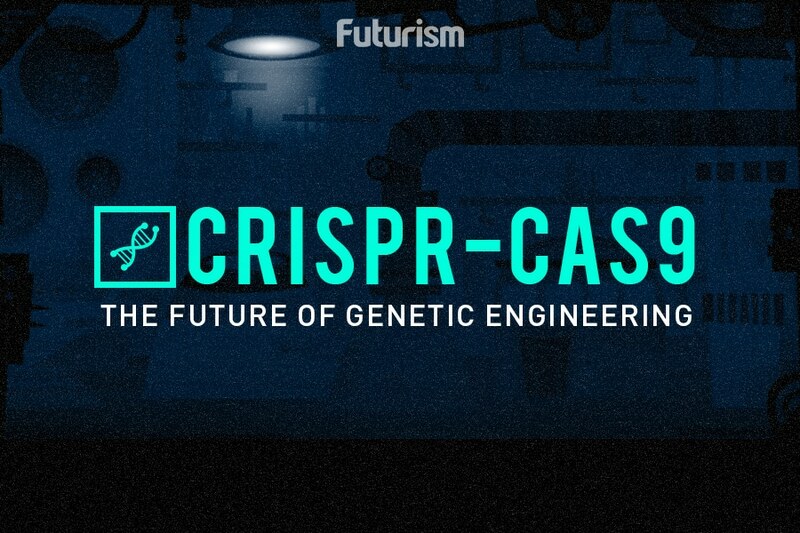 One company, Locus, is using CRISPR to send DNA that will create modified guide RNAs to find pieces of the antibiotic-resistance gene. After the virus infects the bacterium and the guide RNA connects with the resistance gene, the bacterium produces a phage-killing enzyme called Cas3. This is the bacterium’s usual response, only in this instance, it destroys its own antibiotic-resisting genetic sequence. Over time Cas3 destroys all of the DNA, and the bacterium dies. Another company, Eligo Bioscience, is taking a slightly different approach. The team chose to insert the DNA that creates guide RNAs (this time with the bacterial enzyme Cas9), which removes all genetic replication instructions. Cas9 then severs the DNA of the bacterium at a specific place, and that cut triggers the self-destruct mechanism in the bacterium. The third approach, by Synthetic Genomics, involves creating “supercharged” phages that contain dozens of enzymes. Each enzyme offers its own unique set of benefits, including the ability to camouflage the phages from the human immune system by breaking down proteins or biofilms. Despite these promising results thus far, there will be challenges to bringing successful engineered phages to market. For example, there is a risk that phages could actually spread genes for antibiotic-resistance to non-resistant bacteria. Another potential issue is that it might take a very large number of phages to treat an infection, which in turn could trigger immune reactions that would sabotage the treatment. Ideally, though, if clinical trials go well, engineered phages could provide humans with a powerful weapon in the fight against superbugs. A fight that has, thus far, included a variety of strategies. Whenever it happens, it wouldn’t be soon enough: this past January, the Centers for Disease Control (CDC) reported that a patient died from a superbug that was resistant to all 26 antibiotics available in the US.